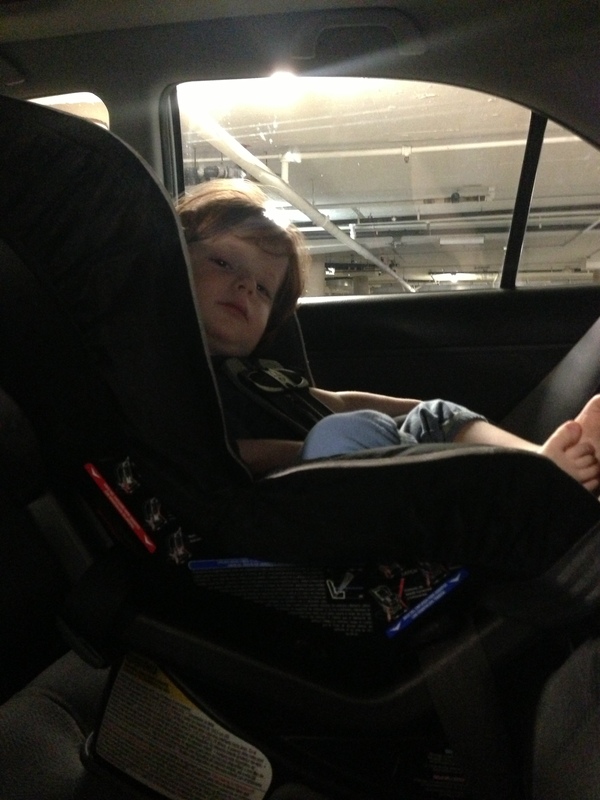 I’m not happy with the way I put the car seat back in. The seat is in there nice and tight but there’s a blue line that’s supposed to be parallel with the floor… and it’s not. I decided to take it in to the CHP (California Highway Patrol.) I thought I’d call to make sure I didn’t need an appointment. CHP Man: Hello, California Highway Patrol, how may I help you? Me: Hi. I’m calling to see if I need an appointment to come in and have my car seat adjusted. CHP Man: No, you don’t need an appointment. Me: OK, so if I just came in today, what would happen? CHP Man: They wouldn’t be able to help you. Me: When is your next available appointment? Seriously, I’m never going to move the seat again!!! This entry was posted in MOM STUFF, OFF TOPIC and tagged car seats, single mom by choice, solo mom. Bookmark the permalink. I think the fire departments can do it as well. Otherwise Josh can do it for you if you are ob Thayer. He has put in and taken out zillions of time when his kids were younger. Not all fire departments do it!! I’ve tried!! And sometimes they say they do it and then you go and no one there knows your specific car seat! And thank you, I might ask Josh for help, although the seats have changed a lot – I was babysitting a girl with the same seat, five years ago and it’s completely different! !